Niantic has just announced a new series of events titled “Pokémon GO Community Day”. Each month, a Community Day will be announced on Pokémon GO Social media channels starring a special event Pokémon, which will appear around the world just for a few hours. Pokémon caught during the event will feature an exclusive move, not obtainable outside the event. According to the official post, this event will take place every month and will probably feature the same Pokémon that had similar events in the core games. Maybe we’ll see Precipice Blades Groudon in a same fashion. 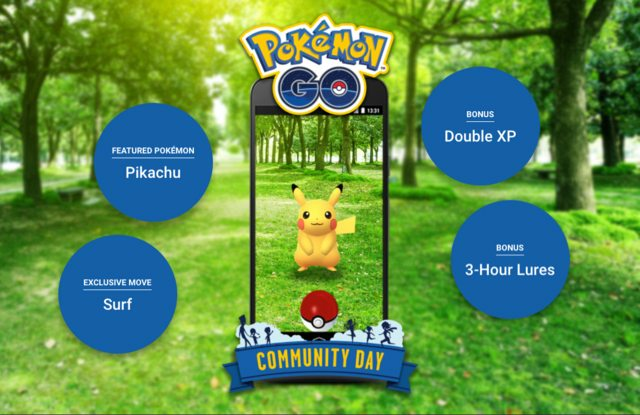 You can follow the community day schedule using Niantic’s official event page: Community Day. We’ll soon create a page with future speculated community day themes, so stay tuned. The post Pokémon GO Community Day announced: a monthly event featuring Pokémon with exclusive moves appeared first on Pokemon GO Hub.